What is the cheapest way to get from Crest to Avignon? 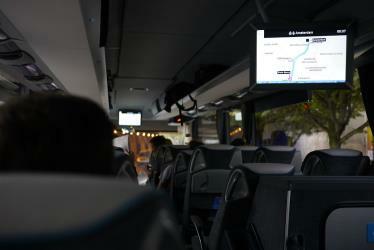 The cheapest way to get from Crest to Avignon is to line 25 bus and night bus which costs 5€ - 10€ and takes 3h 20m. What is the fastest way to get from Crest to Avignon? The quickest way to get from Crest to Avignon is to drive which costs 14€ - 22€ and takes 1h 27m. Is there a direct bus between Crest and Avignon? No, there is no direct bus from Crest to Avignon. However, there are services departing from Crest and arriving at Avignon via Valence - Centre. The journey, including transfers, takes approximately 3h 20m. Is there a direct train between Crest and Avignon? No, there is no direct train from Crest to Avignon. 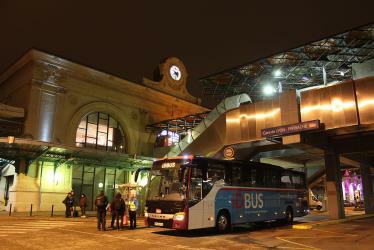 However, there are services departing from Crest and arriving at Avignon Centre via Livron. The journey, including transfers, takes approximately 2h 4m. How far is it from Crest to Avignon? The distance between Crest and Avignon is 88 km. The road distance is 126.3 km. How do I travel from Crest to Avignon without a car? The best way to get from Crest to Avignon without a car is to train which takes 2h 4m and costs 27€ - 40€. How long does it take to get from Crest to Avignon? 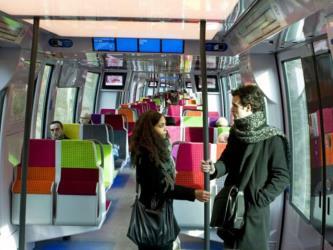 It takes approximately 2h 4m to get from Crest to Avignon, including transfers. Where do I catch the Crest to Avignon bus from? Crest to Avignon bus services, operated by Le Département de la Drôme, depart from Crest station. Where do I catch the Crest to Avignon train from? Crest to Avignon train services, operated by SNCF, depart from Livron station. Where does the Crest to Avignon bus arrive? 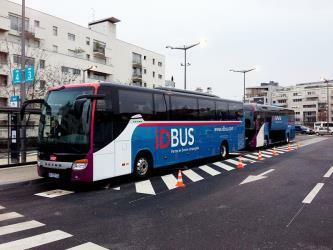 Crest to Avignon bus services, operated by Ouibus, arrive at Avignon station. What companies run services between Crest, France and Avignon, France? 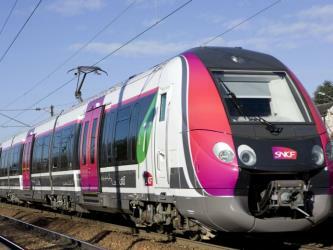 SNCF operates a train from Crest to Avignon hourly. 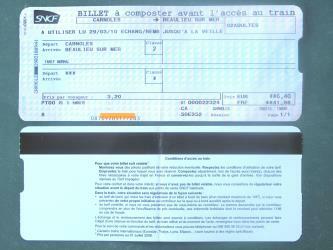 Tickets cost 18€ - 27€ and the journey takes 1h 16m. Where does the Crest to Avignon train arrive? Crest to Avignon train services, operated by SNCF, arrive at Avignon Centre station. Can I drive from Crest to Avignon? Yes, the driving distance between Crest to Avignon is 126 km. It takes approximately 1h 27m to drive from Crest to Avignon. How do I get a train ticket from Crest to Avignon? 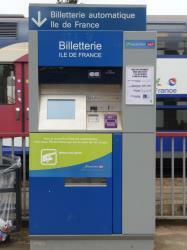 Book your Crest to Avignon train tickets online with Loco2. Where can I stay near Avignon? There are 1970+ hotels available in Avignon. Prices start at 65€ per night. The Palais des Papes (English: Papal palace, lo Palais dei Papas in Occitan) is a historical palace located in Avignon, southern France. It is one of the largest and most important medieval Gothic buildings in Europe. Once a fortress and palace, the papal residence was the seat of Western Christianity during the 14th century. Six papal conclaves were held in the Palais, leading to the elections of Benedict XII in 1334, Clement VI in 1342, Innocent VI in 1352, Urban V in 1362, Gregory XI in 1370 and Antipope Benedict XIII in 1394. The Musée du Petit Palais is a museum and art gallery in Avignon, southern France. It opened in 1976 and has an exceptional collection of Renaissance paintings of the Avignon school as well as from Italy, which reunites many "primitives" from the collection of Giampietro Campana. It is housed in a 14th-century building at the north side of the square overlooked by the Palais des Papes. The Fort Saint-André is a medieval fortress in the commune of Villeneuve-lès-Avignon in the Gard département of France, dating from the first half of the 14th century. The Pont Saint-Bénézet, also known as the Pont d'Avignon, is a famous medieval bridge in the town of Avignon, in southern France. Rome2rio makes travelling from Crest to Avignon easy. Rome2rio is a door-to-door travel information and booking engine, helping you get to and from any location in the world. 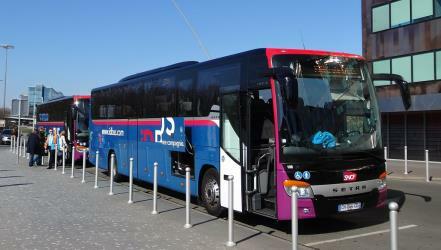 Find all the transport options for your trip from Crest to Avignon right here. Rome2rio displays up to date schedules, route maps, journey times and estimated fares from relevant transport operators, ensuring you can make an informed decision about which option will suit you best. Rome2rio also offers online bookings for selected operators, making reservations easy and straightforward.